Students will practice number sense concepts with this comparing numbers unit. 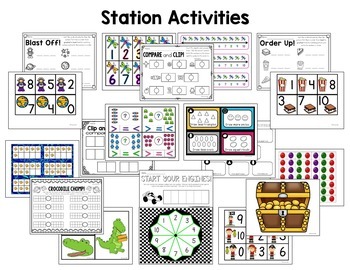 It is loaded with activities, stations, and printables for practicing comparing numbers within 10. Get ALL of my Kindergarten math units bundled for a HUGE discount! In this pack, your kids will develop their vocabulary for making comparisons, using the terms: Greater than, less than, greater, fewer, more, less, and equal. Students will also practice using the <,>, and = signs. 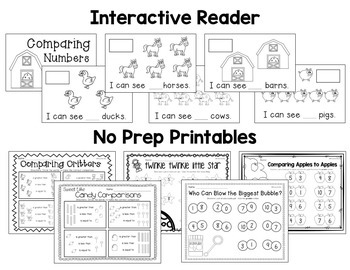 CLICK HERE FOR COMPARING NUMBERS NO PREP PRINTABLES! 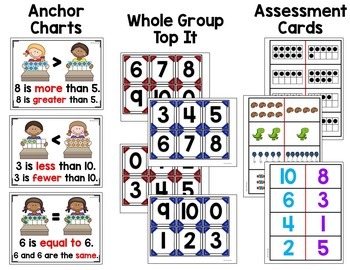 For more Kindergarten Math Units, Click through Below!